Ken Goldstein advises start-ups and established corporations in technology, entertainment, media, and e-commerce. He currently serves as board chair at ThriftBooks Global, the worldwide market leader in online sales of used books. 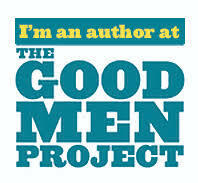 He also serves as board chair and is a frequent contributor at The Good Men Project, an expansive digital content site offering perspectives on social issues in the 21st century. He publishes the business blog CorporateIntel and speaks often on the topics of innovation and creativity. His first book, This Is Rage: A Novel of Silicon Valley and Other Madness, was published by The Story Plant in 2013. It was a Barnes and Noble Online bestseller, and a stage adaptation is in development. His second book, Endless Encores: Repeating Success Through People, Products, and Profits, was published by The Story Plant in 2015. His third book, From Nothing: A Novel of Technology, Bar Music, and Redemption, was published by The Story Plant in 2018. CorporateIntel (also known as Corporate Intelligence Radio™) is a creative forum for exchange where we talk about Innovation, Learning, Life, and Career. We share insights into company success where people matter most. It’s about change, awareness, and striving for excellence. Delighting customers is a must. Quality is a competitive advantage. Caring is why we are here. Philosophy, Literature, Politics, Marketing, Finance, Investing, Education, Leadership, Management, Theater, Music, Storytelling, and Technology are all Game. We not only need to learn how to Think Different, we need to force ourselves to Think Harder. Everything you need to know is in someone else’s head, just ask. It all starts with heartfelt Dialogue and Discussion. Making business human. People, Products, Profits—in that order. You can subscribe to my blog posts on CorporateIntel (usually once or twice each month) by submitting your email address in the little box toward the middle of the column on the right. WordPress provides this service and makes it easy for you to unsubscribe if you no longer wish to receive these communications, just follow the directions at the bottom of any email you receive. You can follow CorporateIntel on Twitter. Remember to to click Follow on the Twitter landing page. You can “Like” CorporateIntel on Facebook and get my latest blog posts your news feed. Remember to click Like on the Facebook landing page. You can “Like” my Author Page on Facebook and get my regular updates your news feed. Remember to click Like on the Facebook landing page. You can visit My Official Book Site and join the mail list for my newsletter there. You can listen to my weekly radio podcasts with Barb Adams on Radio Amerika Now. Additional articles of interest from a number of writers can be found in the CIR Library.